Pictured is Paul J. Sisbarro, D.O., who practices at the new WellSpan Urology location in Ephrata. WellSpan has opened a new specialty practice, offering urology care in northern Lancaster County. Paul J. Sisbarro, D.O., provides surgical and non-surgical treatment of conditions including urinary stones, incontinence, kidney cancer, bladder cancer, testicular cancer, bladder dysfunction, prostate obstruction, erectile dysfunction and hematuria. He also performs urinary tract infection evaluations and vasectomies. 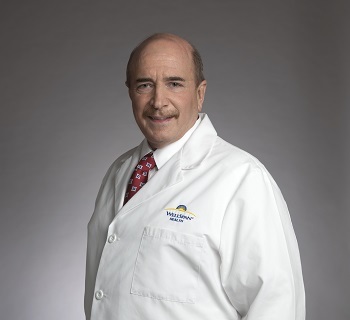 Sisbarro earned his medical degree from the Philadelphia College of Osteopathic Medicine and did residencies in both general surgery and in urological surgery at Metropolitan Hospital. He is a fellow of the American College of Osteopathic Surgeons. WellSpan Urology joins almost a half-dozen other specialty practices that WellSpan has opened since September in northern Lancaster County, including WellSpan Plastic Surgery, WellSpan Sports Medicine and a full array of women’s specialty services, including WellSpan Gynecologic Oncology, WellSpan Maternal-Fetal Medicine and WellSpan Urogynecology & Pelvic Reconstructive Surgery. Those specialties join the others offered by WellSpan in northern Lancaster County, including adult and pediatric neurology, cardiology, oncology, infectious disease, wound healing and sleep and pulmonary medicine. WellSpan Urology is located at Suite 350, 175 Martin Ave., Ephrata, and can be reached at 717-738-5632. WellSpan Health is an integrated health system that serves the communities of central Pennsylvania and northern Maryland. The organization is comprised of more than 1,500 employed physicians and advanced practice clinicians, a regional behavioral health organization, a home care organization, eight respected hospitals, more than 19,000 employees, and more than 170 patient care locations. WellSpan is a charitable, mission-driven organization, committed to exceptional care for all, lifelong wellness and healthy communities. Visit WellSpan.org.